The whole reason we humans go camping is to get away from the restraints of modernity, but just because you&apos;re leaving civilization behind doesn&apos;t mean you can&apos;t get a good night&apos;s rest. Think about how much better the sunrise will look if it&apos;s preceded by a solid night&apos;s sleep. Since all the sleep system choices can get overwhelming, we’ll break them into their basic parts and help you figure out which system is right for you. Your choice will depend on the way you like to sleep and the way you like to camp. A basic sleep system consists of two parts: a sleep platform and a sleeping bag. The sleep platform is the outdoor version of your mattress, and it will sit between your sleeping bag and the ground to cushion your body and to insulate against the cold. Sleep platforms come in several styles: cots, air mattresses, sleeping pads, and hammocks. Cots are easy to get in and out of thanks to their bed-like height, and they offer under-the-bed storage so it&apos;s easier to organize your gear. However, they don&apos;t provide any insulation between you and cold air circulating around you. So while they will keep you cooler in high summer, you are more likely to feel the chill in cold conditions. Some people solve this problem by adding a blanket or even a sleeping pad between their bag and the cot. Cots fold up tightly for storage and packing, but their weight and size (even when folded) make them impractical for backpacking, so they&apos;re better suited to car camping or long-term base camps. Air beds keep you blissfully suspended above the ground&apos;s bumps and lumps so you get a comfy sleep. They come in a range of sizes from single to king, but if you&apos;re making it a bed for two, remember that air beds have a tendency to transmit and amplify every movement that your bed buddy makes; an over-enthusiastic hop into bed can catapult you into the roof of the tent. Air beds require a pump or the longsuffering ability to sit around the campfire for an hour or more using your lungs and your lips to inflate your bed. Bodyweight combined with internal air pressure can stretch your air bed&apos;s shell over the course of the night, so even if you fill it up all the way, it might start to sag halfway through the night. Punctures and slow leaks are common, so a patch kit is a must if you don&apos;t want to wake up with nothing between your bag and the ground except a layer of deflated vinyl. 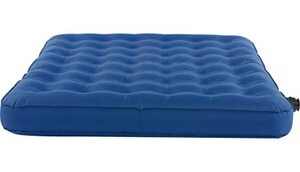 Sleeping pads are the lightest, most packable option. They are usually only an inch or less thick and provide moderate cushioning and insulation. They are, however, a huge improvement on not using anything at all and will provide basic support and insulation so you can sleep. Inflatable pads work like miniature air beds and can be quickly inflated even without a pump. They roll into a very compact size for easy packing. Make sure you adequately fill your pad or your bodyweight will displace the air in high-pressure areas and end up leaving your heavier body parts sinking to the ground. Self-inflating pads use stiff foam that decompresses and fills with air when you unseal the valve and unroll the pad. When you reseal the valve, air is trapped within the foam cells where it boosts insulation and comfort. Self-inflators provide a bit more cushioning thanks to the foam, but they are a tiny bit larger when rolled up than their air-only cousins. Roll-out foam pads provide excellent insulation so they&apos;re great on snow or frozen ground, and they come in a wide range of thicknesses from a fraction of an inch to half a foot. They protect you from the cold and cushion you from the ground to varying degrees depending on their thickness. The thin versions don&apos;t offer much cushioning, while the thick versions can be unwieldy despite their light weight. When you think of hammocks, you might picture large, webbed rope hammocks for backyard lounging, but camping hammocks use thin parachute-style material that provides the necessary strength to hold your body off the ground while remaining extremely packable and lightweight. Hammocks require minimal set up; all you need is some nylon cord and a pair of obliging trees. Like cots, hammocks provide no real insulation, so they&apos;re best in hot weather. Since it&apos;s pretty much impossible to set a hammock up inside a tent, you&apos;ll need a tarp or shelter to keep you dry if it rains. 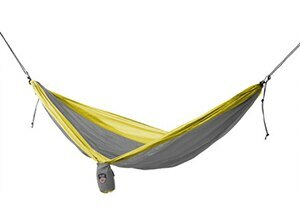 Some hammocks even include an integrated shelter that forms a personal sleepy-time pea pod. Hammocks can take some getting used to since they don&apos;t allow you to sleep on a flat surface. They can also be hard to move in and get out of since your body weight forms a deep valley or pocket in the hammock. Putting two people in one hammock pits your ability to sleep against the forces of gravity as both people are pulled towards the bottom where they usually end up squishing each other. Sleeping bags come in two basic shapes: mummy and rectangular. Mummy bags are ideal in winter and high altitudes because their body-contoured design maximizes warmth by keeping insulation close to your body and reducing the amount of open space your body has to heat. The narrow mummy shape also means there is less fabric and less weight to carry, which is great when you&apos;re heading into the backcountry on foot. The downside of mummy bags is that there isn&apos;t much room to move if you&apos;re a fidgety sleeper. Women-specific mummy bags give you more room in the hips and are a bit narrower across the shoulders. Since women tend to sleep colder than men, women&apos;s bags will usually include extra insulation in the foot box, chest, and hood. Rectangular bags offer more room to move and allow you to sleep in several positions, but because they have more space, it takes more body heat to keep them toasty. Their roomier shape means they generally weigh more and use more pack space, so they are best suited to car camping rather than backpacking. Rectangular bags can also be fully unzipped and used as blankets for warm-weather camping. If you&apos;re camping with a favored cuddle buddy, look for double-wide bags or bags that can be zipped together to create one large bag. You&apos;ll be able to share body heat and sleep a lot warmer. 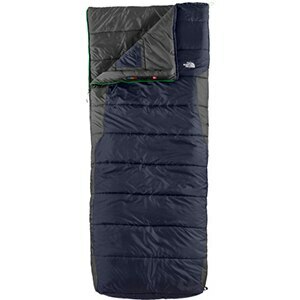 Sleeping bags, just like people, don&apos;t have to be exact matches to get together, but they do have to be compatible in the following areas: the zippers must have the same sized teeth, the zippers must be the same length, and one bag must have a right-facing zipper while the other has a left-facing zipper. The Sleep Easy feels like a mattress, so you can sleep almost as comfortably as you do at home. This airbed is super durable, and it inflates in around two minutes. The pump and the rolled-up mattress both fit into an included Kelty Binto container for throw-and-go convenience. This self-inflating pad uses advanced pressure-mapping technology which places high-density foam under your shoulders and seat for support where you need it most. Three inches of cushioning and an exceptionally high thermal rating make this pad a comfort-focused choice for any season of the year. 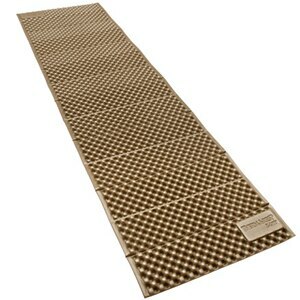 This comfy pad is best suited to camping where you don&apos;t have to haul your gear on your back. 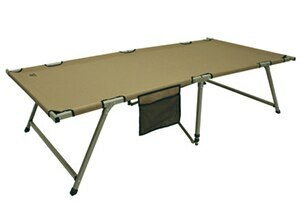 The Eureka Camping XL Cot is great for large-framed folks or anyone who wants more sprawling room. This cot can hold up to 300 pounds, and there’s enough storage space underneath for just about anything. This portable bed weighs in at just under 25 pounds, so you probably won&apos;t want to carry it more than the distance from your car to your tent. This is a lightweight sleeping option for warm summer nights when preserving body heat isn&apos;t your main concern. The rectangular shape gives your legs full-flailing room so you can readjust without restriction. Heatseeker insulation is layered in overlapping baffles to fend off late-night chills. This is a big, comfy bag that&apos;s great for weekend getaways in warm conditions. 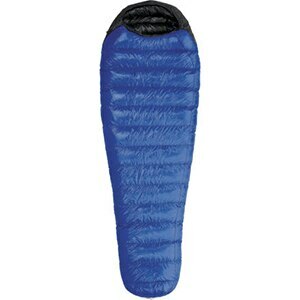 If you want a bag that’s compressible and light enough for backpacking, the Marmot Helium Sleeping Bag packs down smaller than a loaf of bread and will keep you warm even if the temperature dips below freezing. Premium 850+ fill goose down rebounds even after repeated compression and provides plenty of comfort without much weight. The Big Agnes King Solomon Sleeping Bag is a two-person bag that forgoes insulation in the bottom and relies on your sleep platform to insulate and pad you from the ground. This design cuts weight and makes this bag easier to store, and since bodyweight compresses the insulation underneath you, you won&apos;t miss out on much warmth anyway. 600-fill down holds in enough warmth for cool nights. The Lamina uses Mountain Hardwear&apos;s proprietary Thermic Micro insulation— it&apos;s high loft and compressible like down, but it doesn&apos;t lose its warmth if it gets wet, which makes it great for spring, summer, or fall camping in humid conditions. The insulation is welded directly to the bag to increase durability and prevent cold spots. This a great crossover bag for both car-supported and deep-backcountry camping. The Lost Ranger maximizes efficiency, milking more performance out of a light, compact construction. 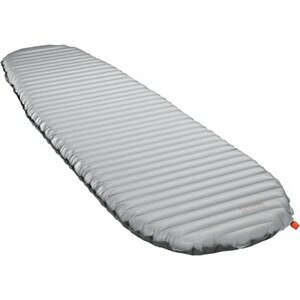 Big Agnes&apos; famous sleeping-pad pocket and insulation-free bottom keeps you on your sleeping platform and reduces weight. The semi-rectangular shape works as well for comfort camping as the low weight does for summer backpacking trips—you don’t always need a slim, trim mummy bag. The Regulus Blanket is suited for warm climates and strikes a nice balance between weight and warmth. This blanket snaps directly to your sleeping platform—it&apos;s comparable to sleeping at home, where you rest on your bed and cover yourself with a quilt. This blanket is a lightweight option for warm-weather campouts or for treks where cutting weight is essential.